"The eagerly anticipated sequel to the blockbuster science-fiction epic that IGN.com named the #1 Xbox 360 game of all time, Mass Effect 2 begins with the disappearance of Commander Shepard. 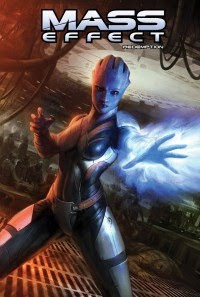 The story of what happens next-exclusive to these comics-will have the commander's companion Dr. Liara T'Soni undertake a deadly mission of extraordinary importance in the Milky Way's lawless Terminus Systems." 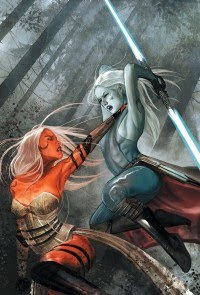 "It is do or die for former Padawan Zayne Carrick as he desperately tries to save Jarael's life. He'll call in favors from the Senate, the Mandalorian Cassus Fett, and Admiral Karath of the Republic Navy -- but none can prepare him for what he's about to face!" Plus, there's the news that Knights of the Old Republic #48 will feature a five-page preview of Mass Effect #1! Not exactly a crossover — but they both came from my word processor!